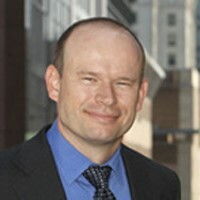 Peter Christoffersen is a Professor of Finance at the University of Toronto’s Rotman School of Business. He has published in leading finance and econometrics journals and is the author of Elements of Financial Risk Management. He serves as an Associate Editor of the Review of Financial Studies and the Review of Finance. Peter has won research awards from AIMA Canada and the Q-Group. He is a Fellow of the Bank of Canada, the University of Toronto’s TSX Chair in Capital markets, and serves on the Model Validation Council at the Federal Reserve Board. He is also a Research Fellow of the Wharton Financial Institutions Center at Penn, and at the Volatility Institute at NYU Stern. Peter formerly taught at McGill University and worked as an Economist at the IMF. He holds a BA from the University of Copenhagen and a PhD in Economics from the University of Pennsylvania.